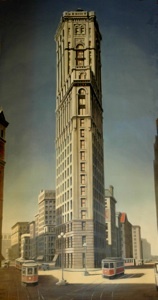 A mural of Times Tower, part of a collection painted by Richard Haas for the periodical room of the New York Public Library. I was afforded a tour of 1 Times Square—from the basement where the subway once ran, to the roof, where the ball is dropped every new year's eve. 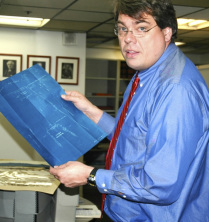 In 2006 I directed our New York internship program and taught a course on New York City journalism history. 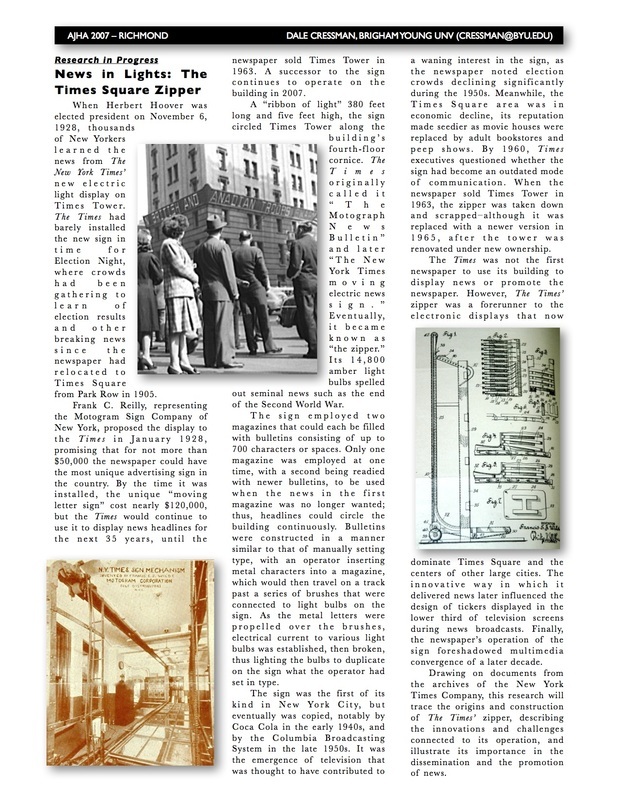 We studied newspaper buildings on Park Row, in Herald Square and Times Square. In the course of this research I came across a number of interesting photos and documents. Out of that research, I published "From Newspaper Row to Times Square: The Dispersal and Contested Identity of an Imagined Journalistic Community." It appeared as the cover story in the Winter 2009 edition of the journal Journalism History. The article was featured in the Columbia Journalism Review and in YNews. 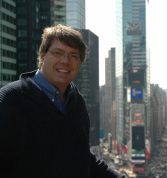 In 2009 I was chosen to give the Beckham Lecture at BYU and I presented "Where the Ball Drops: The Hidden History of Times Square." I was also interviewed for KBYU-TV's "BYU Weekly" and KBYU-FM's "Thinking Aloud." One interesting feature of the original Times Tower was the electric "moving letter sign" known as the "zipper." First installed in 1928, a successor remains on the building now known as 1 Times Square. In October 2012, I presented "News in Lights: The New York Times Zipper and Newspaper Signs in the Age of Technological Enthusiasm" to the Society for the History of Technology in Copenhagen. The resulting article was published in Journalism History in 2018 and was chosen as the Michael S. Sweeney Award winner for best article of the year in the AEJMC History Division journal. In the Archives of the New York Times Company before they were transferred to the NYPL. 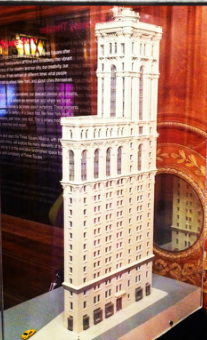 A cool model of how Times Tower looked prior to 1963. Times Square from Dale Cressman on Vimeo.